Curtains, planks, loops, staves, horns, crowns, sockets, skins, hair, linen, gold, silver, bronze, red, blue, purple, white, cherubim, pomegranates, height, width, length, cubits, hands, two, three, four, five, six, ten, eleven, twelve, twenty, fifty… I understand why some instructions on the construction of the Tabernacle were necessary, but why such detail? And why do we need to know about it 3500 years later? Why wasn’t all of this recorded in a separate manual just for the craftsmen? God said that the Torah is not difficult to understand or even to follow, and it’s not, at least not on the surface. It says to make a box of certain dimensions out of a certain wood, overlay it with gold, put certain decorations on it, and put certain items in it. Moses recorded the details of God’s instructions on the earthly tabernacle so that we could use it as a model for reshaping our fleshly tabernacles into the image of the heavenly. Our goal is to be remade in the image of Yeshua, to remake our lives in the image of the tabernacle, and specifically to remake our hearts in the image of the Ark of the Covenant. The Ark of the Covenant was made of only two elements, wood and gold. It contained a golden* jar of manna, Aaron’s staff, and the stone tablets of the Law. It had a cover, made of pure gold and adorned with golden cherubim. The wood, which formed the core of the Ark, symbolizes two things: a heart of flesh and the individuality of each person. A heart of flesh instead of stone indicates that we are to be soft-hearted to allow God to work in us. His Spirit cannot commune effectively with a stone, but works to transform our hard hearts so that we can have a more perfect relationship with God. Gold represents purity in righteousness, and the Ark was covered with it inside and out. This means that we should strive to conform our hearts to his standards of perfect righteousness, not only through our outward behaviors, but also through the internalization of his Word. If this is so, why wasn’t the whole Ark made of pure gold? The Ark is a pattern for everyone, and not just a single person. God wants to build his kingdom, his nation, through us, and you cannot build a nation out of a million identical units. An object made of metal is uniform throughout. It has the same density and consistency on the surface as it has a centimeter or an inch deep. Wood, on the other hand, is infinitely variable. If you analyzed every square inch of wood that has ever been grown, you will never find two of them the same. If you want to build an army of robots, you might manufacture a million identical parts out of metal. If you want to build a nation of people with varying roles, however, you should consider the geometry of trees. Within the Ark, the stone tablets represent God’s Law. At Sinai, they were written on stone. In the New Covenant, they are to be written on our hearts, and they were stored within the Ark as a metaphor for storing them in our hearts. Aaron’s staff represents the life-bringing rule of the true High Priest, Yeshua of Nazareth. When we submit to his yoke, we find freedom and purpose. When we obey his direction, we find life. The jar of manna represents our faith in God’s provision. The jar is pure gold, because it is our faith in him which makes us perfect in his eyes. Genesis 17:1 gives another example of these three elements in the life of a believer: “And when Abram was ninety years old and nine, the LORD appeared to Abram, and said unto him, I am the Almighty God; walk before me, and be thou perfect.” “I am the Almighty God” echoes the first commandment on the stone tablets; Abraham walks before God who is his shepherd and high priest symbolized by Aaron’s staff; and he was considered perfectly righteous because of his faith in God symbolized by the golden jar of manna. 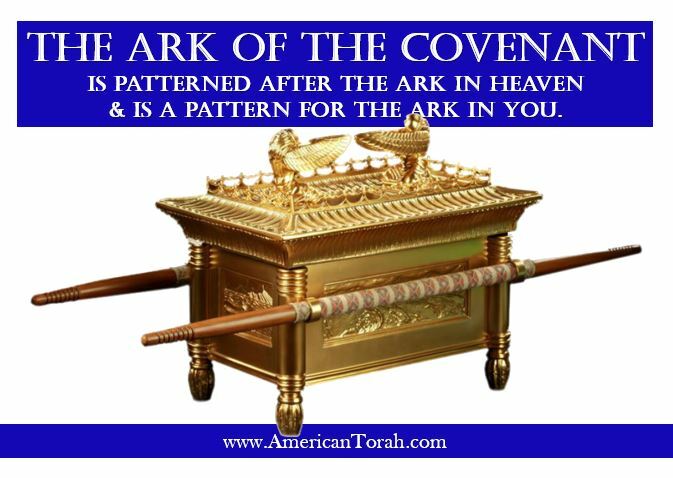 The atonement cover on the Ark is Yeshua, our Messiah and King. He is wholly sinless as solid gold. He covers us with his blood, with his perfect life, and with his authority. Our prayers rise from our heart through him, between the wings of the Cherubim, to the Father in Heaven. So it is that no man comes to the Father except through him, and so it is that our prayers will be hindered if we do not forgive and love according to his example. There is one true Tabernacle in Heaven, and Yeshua presides there as High Priest. We are to pattern our lives after it, and our hearts after the Ark within. The earthly tabernacle was given as a pattern for us to follow until the final veil is removed and we might see the reality with our own eyes. For now we look forward to it through the lens of the tabernacle as described in the Torah and the Prophets. *Only the Septuagint says this jar is made of gold, but it is confirmed by Hebrews 9:4. God gave Solomon wisdom beyond anyone else alive. He was wiser than all the sages of the east or of Egypt, the two great centers of knowledge in the world at that time. He was probably the wisest man ever to live save Moses and Yeshua. You’ve probably heard the story of the two women who both claimed to be the mother of a baby. He famously resolved the dispute by threatening to cut the baby in two, knowing that the child’s real mother would rather give him to the other than see him killed. Harsh, but effective. There are two stories in the first few chapters of First Kings that illustrate Solomon’s transition from fool to sage. It’s clear that by this time, Solomon was already a good king. He loved God, kept the commandments, and served his people. But he wasn’t perfect. The high places where Solomon offered sacrifices were vestiges of the pagans whom Israel had displaced. Rather than destroying them as God had ordered, the Israelites incorporated these sacred groves and hilltops into their own religion. Rather than finish the job, Solomon continued this practice. It was on one of these pilgrimages that God came to him in a dream and offered to give him anything he asked. Solomon’s answer is one of the most beautiful expressions of godly humility anywhere in Scripture. Truly “the meek shall inherit the earth.” God granted this request for wisdom and gave him incalculable wealth as well. 1 Kings goes on to describe Solomon’s administrative appointments, his scientific and philosophic accomplishments, and the accumulation of his vast wealth. The historian then juxtaposed the story of Solomon’s alliance with Pharaoh to his alliance with Hiram, King of Tyre. The writer points out that this second alliance was wise, where the former was not. They were very different in both substance and outcome. The agreement with Pharaoh marriage to Pharaoh’s daughter to create stronger ties and to discourage conflict between the two peoples, while that with Hiram was a short-term agreement to exchange goods and services. It didn’t necessitate violating any of God’s commandments, such as the one explicitly forbidding alliances of marriage with pagan nations, nor did it create any permanent, binding ties between the two peoples. There’s nothing in Torah against making business or military arrangements with foreign powers, but there are clear instructions against alliances involving marriage and the compromise of God’s prescribed religious institutions. Hiram brought material for the building of the Temple, while Pharaoh’s daughter brought idolatry. The vital difference between one treaty and the other is summed up in the phrase “in the world, but not of the world.” Most of us won’t be making decisions that drastically change the course of history, but we all make agreements or sign contracts that will effect the rest of our own lives and often the lives of everyone around us. 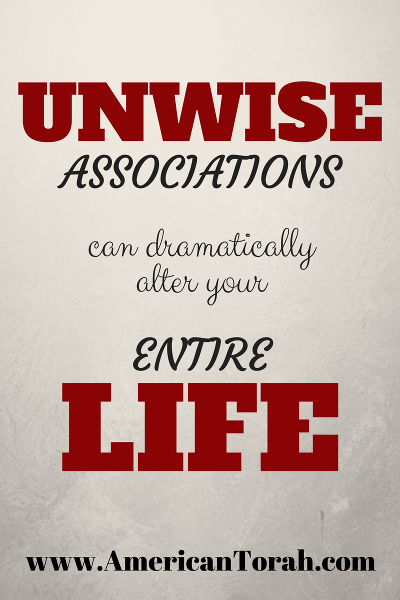 Sometimes it can be very difficult to tell the difference between negative and positive associations. Experience, prayer, and a knowledge of God’s instructions are all vital. Ask yourself, is this choice likely to bring me closer or further from God’s standards of behavior. For example, the alliance with Hiram allowed Solomon to build the Temple and centralize national worship. If the right decision still isn’t clear, then it’s probably a safe bet to assume that whatever association you’re contemplating won’t be good for you. Exodus 25:2,8 Speak unto the children of Israel, that they bring me an offering: of every man that giveth it willingly with his heart ye shall take my offering….And let them make me a sanctuary; that I may dwell among them. The Tabernacle wasn’t built to look beautiful or to give the priests a place to work or the community a focus, although it might have also done all those things. 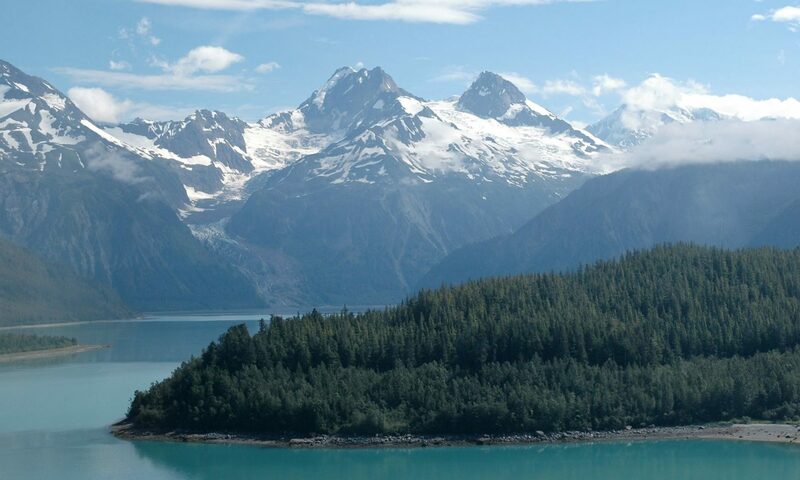 It was built specifically so that God would be able to dwell among his people. He didn’t tell us exactly how it allows him to do that, only that it does. In order to build it, he asked those Israelites who had a heart to give, to bring a terumah, a lifting up. The rabbis tell us that this refers to something offered up to God off the top, from the very best. God didn’t ask them to bring whatever they felt “led” to bring, but he asked for a very specific list of items. Platinum or lead or solid oak planks wouldn’t do, even if those things might be quite valuable to their owners. They weren’t suitable to the task at hand. God didn’t promise them anything in return. There were no riches in store for those who gave up these costly items, only the satisfaction of their love for God fulfilled. 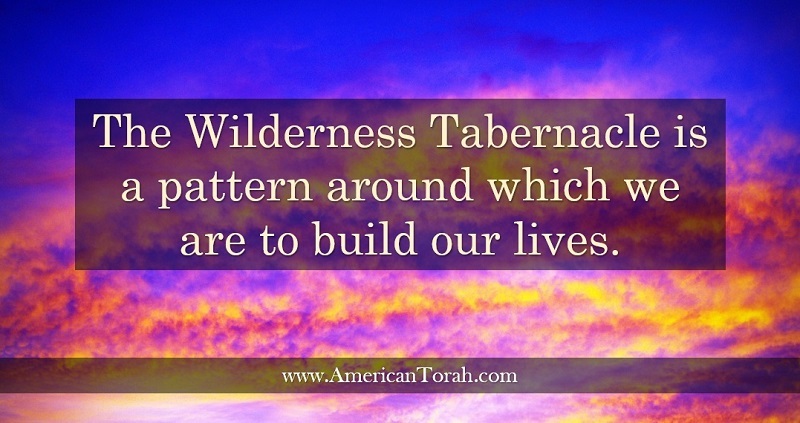 In many ways, the Tabernacle is a pattern around which we are to build our lives. God has blessed us with many gifts, but there are specific things which he has entrusted to our care that he wants us to return to him so that he may live among us. I can’t tell you what that might be for you. That’s between you and God. However, I can tell you that it isn’t your leftovers. He wants your first and best, your terumah. He doesn’t promise you anything in return except his presence. He asks that you sacrifice your time, your gold, your planks of shittim, or bolts of linen, whatever it is that he has given especially to you so that you can demonstrate your love for him by giving it back. This is love for your Creator: surrendering your best without asking anything in return.